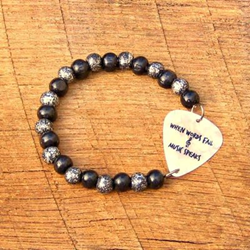 SassyBelleWares will gift its music-themed Guitar Pick Bracelets to celebrities and members of the press at GBK's 2016 MTV Movie Awards Celebrity Gift Lounge, in association with The Artisan Group®. The by-invitation event takes place April 8-9 at an exclusive location in Los Angeles, California. Music is something that everyone loves... It can stir up a range of emotions and is often appropriate in place of words. SassyBelleWares (http://www.sassybellewares.com) in association with The Artisan Group®, will participate in an exclusive celebrity gift lounge event hosted by GBK Productions, leading up to the MTV Movie Awards telecast. The Gift Lounge will take place on April 8-9, 2016 at an exclusive location in Los Angeles, California. Founder/designer Stephanie Hovsepian’s inspirational Guitar Pick Bracelets will be included in celebrity and select press swag bags, prepared by The Artisan Group. Celebrities will receive a handcrafted Guitar Pick Bracelet that has a white pick with a pearl finish and the words, “When Words Fail Music Speaks” and a treble clef printed on it. Members of the press will receive a similar bracelet with a blue pearl finish guitar pick and rainbow colored wood and Czech glass beads. At the Artisan Group exhibit, SassyBelleWares will have on display additional Guitar Pick Bracelets in leather, beads and chain, with hand-stamped sayings like, “Sing it Loud,” and “Music Heals,” along with its popular hand-stamped bead and spoon bracelets. SassyBelleWares is popular with TV wardrobe stylists looking to accessorize their characters with on trend designs, and Stephanie’s jewelry designs have been worn on TV shows including on “Finding Carter,” “Bella and the Bulldogs,” “Law & Order SVU,” “Chasing Life,” “Cedar Cove,” “The Vampire Diaries,” “Parenthood” and “Hart of Dixie.” Stephanie’s bracelets have also been seen on the arms of musicians, including Michael Hobby (A Thousand Horses), Brian Smith (Old Southern Moonshine Revival) and Billy Gibbons (ZZ Top). SassyBelleWares included its jewelry in swag bags for GBK’s Gift Lounge for the 2013 and 2015 Golden Globes and the 2014 and 2015 MTV Movie Awards, where its stack bracelets landed in the hands of cast members from shows including Awkward, Two Broke Girls, Justified and Nashville. It has helped raise money for The Joyful Child Foundation as part of a The Artisan Group charity initiative. SassyBelleWares has been featured as one of Christine’s Cool Picks on Atlanta and Company. In the past, the company has gifted its jewelry to Megan Fox, Snooki, Jennifer Nettles, Giuliana Rancic, Sarah Michelle Gellar, Selena Gomez and Stephanie Drapeau. To learn more about SassyBelleWares, contact Stephanie Hovsepian by email using the Contact button at the top right of this press release. Become a fan on Facebook (SassyBelleWaresonFB) and follow the company on Twitter (@SassyBelleWares), Pinterest (SassyBelleWares) and Instagram (sassybellewares). Shop SassyBelleWares at SassyBelleWares.com and BourbonAndBoots.com. *Neither SassyBelleWares nor The Artisan Group are officially affiliated with MTV or the MTV Movie Awards. 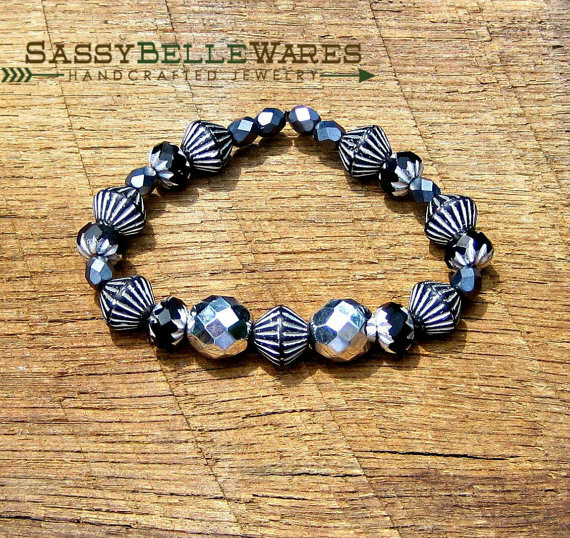 SassyBelleWares (http://www.SassyBelleWares.com) is elevating the SASS FACTOR for women of all ages with jewelry and accessories that blend contemporary materials, semi-precious gemstones, and whimsical found elements. The result is original designs that express a variety of moods and work for all kinds of occasions. 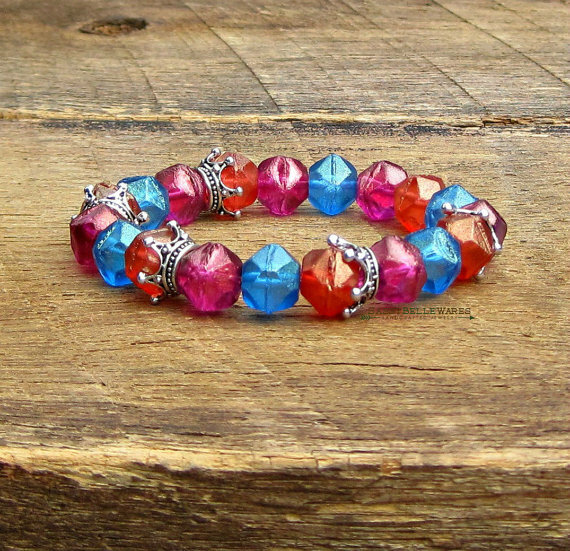 Crown Bracelet with Czech Glass Beads from SassyBelleWares,as worn on Bella and the Bulldogs. 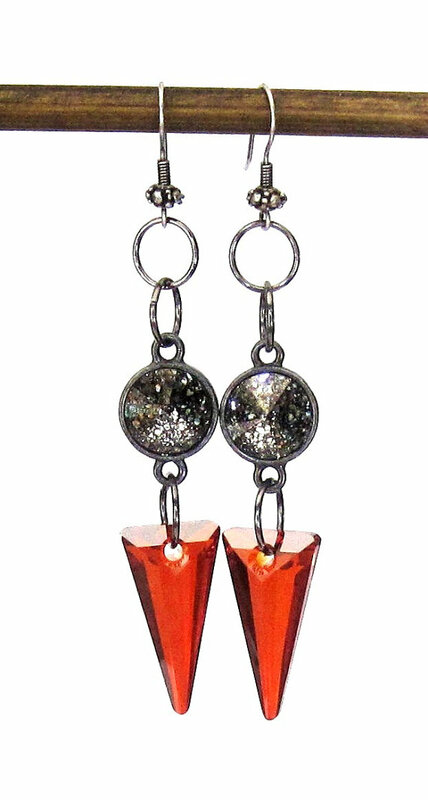 Swarovski Crystal Spike Dangle Earrings from SassyBelleWares,as worn on Atlanta & Co. Silver & Glass Bracelet from SassyBelleWares,as worn on Chasing Life.